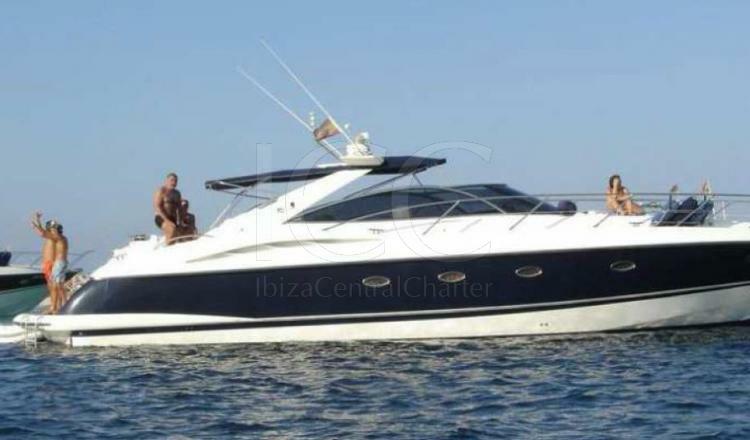 The Sunseeker Camargue yacht is another classic model which astands out for his style and undoubtedly it is one of the best options to enjoy Ibiza and Formentera islands with friends and family. The Sunseeker Camargue yacht has 16 meters in length, which houses two cabins inside, two bathrooms and a living room with wooden furniture that make visible the refined taste characteristic of the British. 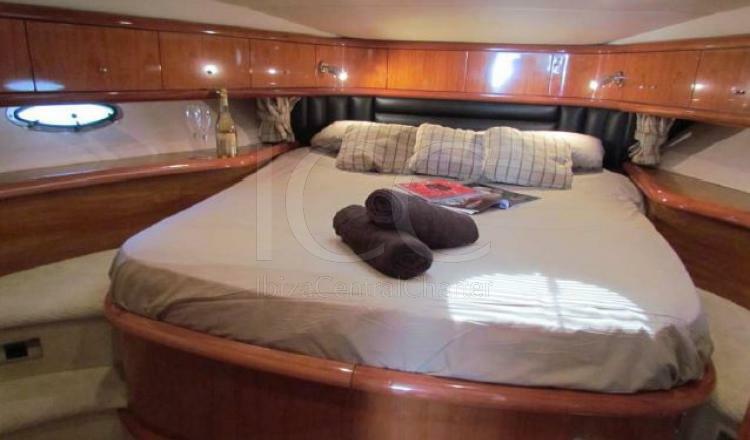 The exterior has a large cockpit equipped with a refrigerator, sofa, bimini and wetbar, to help you relax during your Mediterranean excursion. 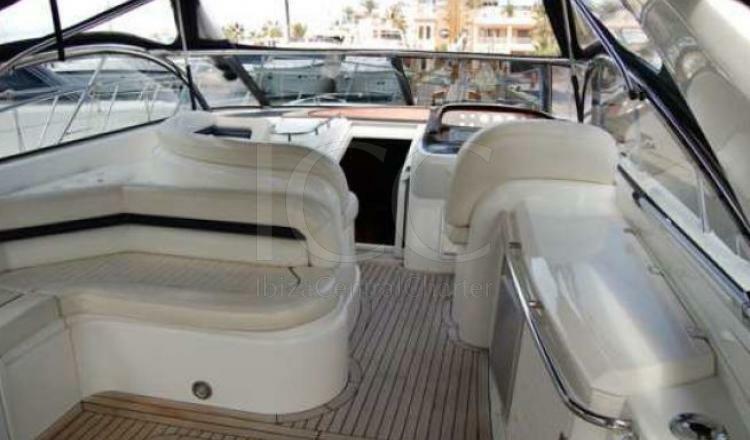 But also has a large and comfortable bow solarium and another with the same characteristics located in the stern. Available for day trips and with skipper included in the price, we listen to your preferences en route to achieve a fantastic and personalized experience for each client. - Fuel: consumption approx. 180 l/h. 50% when booking by bank transfer to formalize the reservation, the rest to be paid in full when boarding.